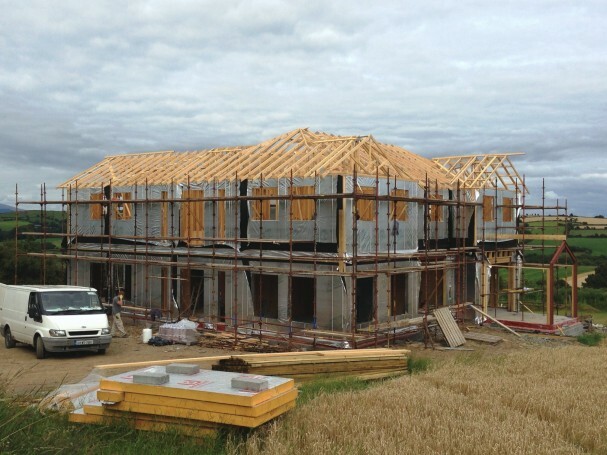 Construction costs climbed again in May, following price increases driven by lumber trade disputes, according to the Associated General Contractors of America. In related news: the former US Ambassador to Canada believes the current tiff with Canada is a precursor to a US withdrawal from NAFTA; while Newfoundland’s Premier calls out Trump and encourages more rational negotiations. 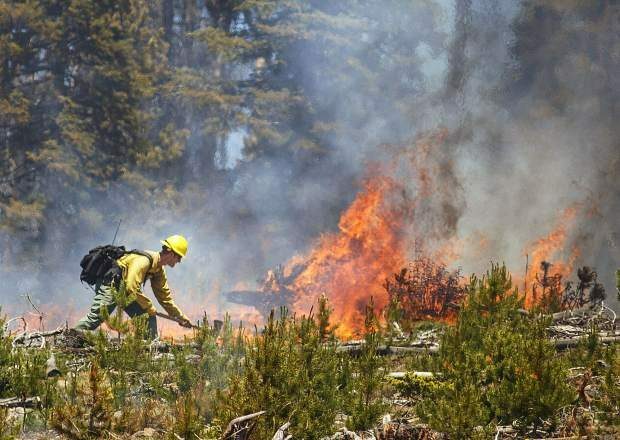 In Forestry news: Colorado’s wildfires are gaining steam; the US Forest Service is harvesting more to prevent wildfires; activists claim logging in Oregon is threatening coho spawning grounds; and Alaskan rainforests are short on… rain. Finally, SFI is avicaching with the Bird Conservancy and the world’s oldest rain forest frogs have been found in amber. More than a third of the 7,000-odd living species of frogs and toads are found in rain forests around the world. But the fossil record for amphibians from these kinds of wet, tropical environments has been almost nonexistent, leaving paleontologists with few clues to their early evolution. Now, lumps of amber dating back to the Cretaceous period have revealed a set of four tiny tropical frogs that lived alongside the dinosaurs, making them the oldest frog fossils of their kind. The specimens include the remains of an ancient frog complete enough to be described as a new species, called Electrorana limoae. “It was exhilarating to hold these small fossils up to the light to reveal the frogs within,” says David Blackburn, a paleontologist at the Florida Museum of Natural History in Gainesville. TORONTO — For the first time in decades, one of the world’s most durable and amicable alliances faces serious strain as Canadians — widely seen as some of the nicest, politest people on Earth — absorb Donald Trump’s insults against their prime minister and attacks on their country’s trade policies. Some Canadians are urging Prime Minister Justin Trudeau to seek peace with the U.S. president. Many others want him to hang tough even as Trump seeks to make political hay with his anti-Canada rhetoric. …Limited trade wars over lumber, pulp and paper, and other products have flared on and off for decades. …Bruce Heyman, former U.S. ambassador to Canada, said he believes the Trump administration is determined to withdraw from the North American Free Trade Agreement and has created “an anti-Canadian narrative” that will help him when he pulls the plug. EDMONTON, Alberta — Millar Western Forest Products is pleased to announce that it has entered into an underwriting agreement to issue and sell C$150 million principal amount of 9.50% Senior Secured First Lien Notes due 2023 by way of a private placement offering. Subject to satisfaction of customary closing conditions, the Offering is expected to close on June 20, 2018. …Millar Western intends to use the net proceeds of the Offering to redeem all of its existing 9.0% Senior Secured Notes due 2022 and to fully repay indebtedness under an existing unsecured loan. Premier Dwight Ball…inviting the president to the Broadway musical “Come From Away,” referring to new “extremely troubling” Canada-U.S. trade policies and “unjustified tariffs,” while promoting “the virtues of a positive relationship.” The leader of Canada’s most easterly province… told The Telegram his actions were in direct response to the use of “national security” as a reason for the US imposing tariffs on Canadian steel and aluminum, and other recent comments by Trump about the NAFTA renegotiations. …The point of taking his message to social media, he said… boils down to a desire to encourage more “rational” trade negotiations. ….But he is particularly concerned over what existing US tariffs on uncoated groundwood paper products… mean for Newfoundland and Labrador. Construction costs climbed again in May, following price increases this spring driven by trade disputes over steel, aluminum and lumber. The cost of all goods used in construction increased 8.8 percent year-over-year in May. Among individual types of materials, some of the biggest increases in the year-long period were seen for diesel fuel, aluminum mill shapes and lumber and plywood, according to the federal Bureau of Labor Statistic’s producer-price index. Construction industry trade groups have pinned much of the blame for rising costs on trade disputes. And more trouble is likely on the horizon. Since the new tariffs the U.S. is placing on steel and aluminum imports from Canada, Mexico and the European Union weren’t announced until May 31. …Even so, materials rose at a faster rate in May than the 4.2 percent increase seen for the cost of new construction projects. The city of Revelstoke, B.C., is worried about the effect a $27-million plan to protect caribou could have on local forestry and tourism industries. The provincial government is currently accepting feedback on proposed changes to the Caribou Recovery Program, which include limiting access to certain backcountry areas. Nicole Fricot, director of community economic development in Revelstoke, B.C., presented a report outlining concerns to city council on Tuesday. …Restricting access to the backcountry so that caribou can recover their numbers, could shut down businesses like heli-skiing and snowmobiling, as well as forestry companies who operate in the areas, Fricot said. “That’s a huge impact on forestry, that’s impact on tourism and those are our major drivers at this point, those are huge potions of our economy,” she said. FORT NELSON, B.C. – The Fort Nelson First Nation and the Northern Rockies Regional Municipality, who have partnered in an application to secure a joint Community Forest Agreement tenure, say that a major milestone in the application process has been reached. On June 5th, Acting Forestry Ministry District Manager Greg Van Dolah approved the Community Forest boundary submitted as part of the partnership’s application. The Northern Rockies and Fort Nelson First Nation initiated the Community Forest project to generate a measure of local influence over the use of the forest resource, encourage the reestablishment of a sustainable forest industry in the region and create employment and business opportunities for residents. Once established, the Fort Nelson Community Forest will be the largest such tenure ever awarded in the province, with any revenue from the operating Community Forest available for reinvestment into local communities. A building was demolished by mistake at McLean Mill National Historic Park, and it could threaten the 20-year-old national heritage status of the park. The mill received its heritage status because it was a complete sawmill with accompanying village. It is “a rare, surviving example of an early- to mid-20th-century logging and lumber operation in B.C.,” according to the mill’s statement of significance. Every little piece was important, no matter if it was a small first aid shack. …The McLean Mill Society is a relatively new board, and therefore more care should have been taken in asking more experienced people how to deal with the first aid shack. Wildfire fuel treatment work has been ramped up this year in forests in the Nelson area. And none too soon. In 2016, wildfire expert Bruce Blackwell told city council, “Nelson is in my top ten towns in B.C. and Alberta for wildfire danger. I would have classified Fort McMurray as low to moderate risk. Nelson faces a far greater risk.” Of course the risk doesn’t just exist in the city but also in the homes and forested lands in the surrounding area. …the Regional District of Central Kootenay has received funding to write prescriptions for the treatment of about 1000 hectares of forest land in the next year. …Funding for some projects comes 100 per cent from the Forest Enhancement Society of B.C., a fund set up by the provincial government in 2016. The Senate Agriculture Committee on Wednesday passed the 2018 farm bill, keeping intact forest management reforms offered by committee member Sen. Steve Daines. The bill passed by a 20-1 vote. 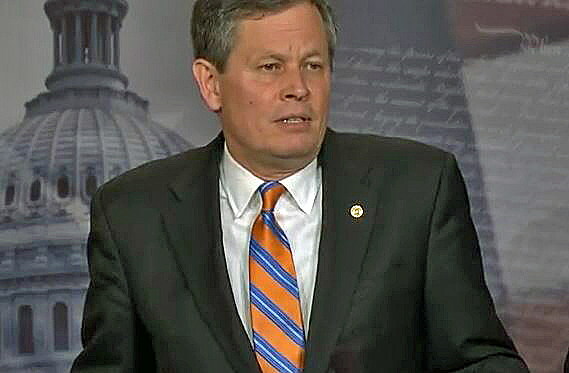 Daines included in the bill the Timber Innovation Act to find new markets for Montana timber, and funding to improve wildlife habitat and outdoor opportunities by increasing public access to private land. The bill also includes a provision that encourages coordination among the Forest Service and state forestry agencies to conduct projects that cross boundaries under their jurisdiction. Daines believes the measure will restore forests and reduce the risk of wildfire. …The bill now heads to the Senate floor, where Daines said he will offer additional amendments, including reforms to litigation he says threaten the timber industry, and other reforms to strengthen forest management. The Forest Service plans to use new authority it received in the omnibus spending bill to get more timber out of the nation’s forests and make them less vulnerable to catastrophic wildfire, the service’s acting chief has told congressional lawmakers. “Our anticipated level of timber harvest in Fiscal Year 2018 is the highest it’s been in 20 years,” Vicki Christiansen told the House Natural Resources Committee at an oversight hearing last week. …But some of the lawmakers wanted to see the Forest Service allow even more harvesting. “How long will it take to get us back to pre-1980 levels when we were actually producing a sustainable forest?” asked Rep. Tom McClintock, R-Calif., chairman of the federal lands subcommittee. …Christiansen did not commit to reaching historical levels, but said, “We are on an increased path upwards. A lawsuit filed Wednesday argues the Oregon Department of Forestry’s logging practices are hurting protected coho salmon and violating the Endangered Species Act. Five conservation and fishing groups are making the case in U.S. District Court that logging on steep slopes and road-building in the Clatsop and Tillamook state forests of northwest Oregon are damaging salmon habitat by causing landslides and erosion. 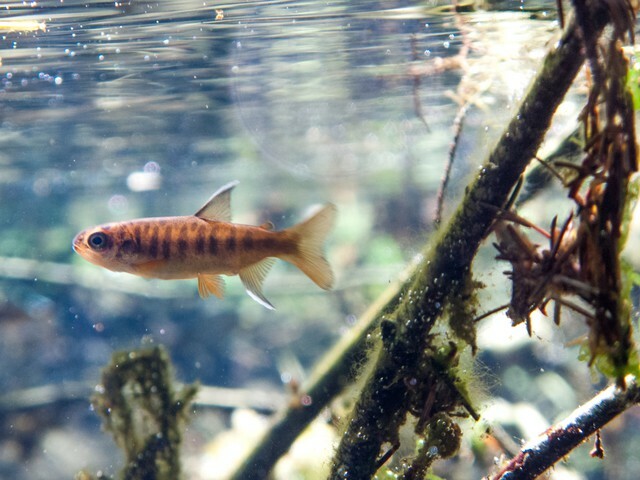 Noah Greenwald with the Center for Biological Diversity said dumping harmful sediment onto coho spawning grounds is a violation of the Endangered Species Act because the state doesn’t have a Habitat Conservation Plan for the fish. …The state started working on a Habitat Conservation Plan for threatened coastal coho in the late 1990s, but the plan was never finished. The U.S. Forest Service released Monday a report that will help with an update to the Northwest Forest Plan, according to a news release. The report reviews and summarizes applicable science that has emerged since the Northwest Forest Plan was adopted in 1994. The Northwest Forest Plan directs management of 17 national forests in California, Oregon and Washington, including the portion of the Mount Baker-Snoqualmie National Forest in eastern Skagit County. 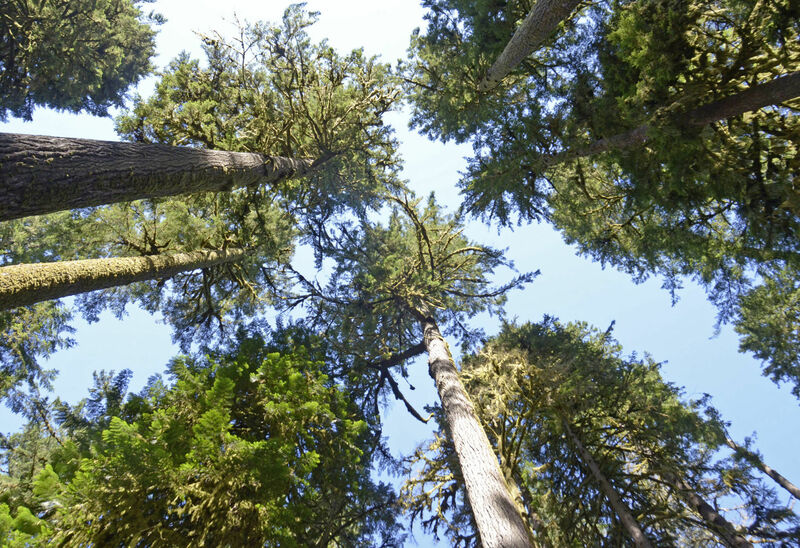 The Northwest Forest Plan was created to protect the critical habitat of the northern spotted owl while maintaining a viable forest products industry in the Pacific Northwest, according to the Forest Service. It covers 24 million acres of land managed by the Forest Service, Bureau of Land Management and National Park Service. The report reviews how protected species have fared on federal lands and addresses new concerns that have emerged, including climate change. DENVER — …As Colorado struggles with fires near Durango and Silverthorne, the nation’s largest and most advanced aerial firefighting tanker [19,000 gallons] sits on a runway in Colorado Springs. The Global SuperTanker has no contract with the U.S. Forest Service to fly any missions in Colorado. “The U.S. Forest Service, when they are tasked with a fire, they assume control of the airspace over that fire …and because they control it, they have the ultimate say so in who enters it and under what conditions,” said Bob Soelberg, senior vice president and program manager for Global SuperTanker. …The agency anticipates releasing requests for proposals by Friday that would allow it to use next generation air tankers, but it wouldn’t be able to sign any contracts for at least 30 days. 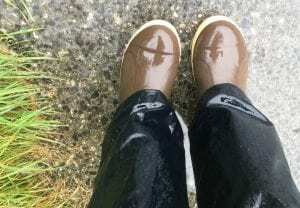 Ketchikan, Alaska — There are no tumbleweeds blowing through the streets of Southeast Alaska towns, but, the region has received quite a bit less precipitation than usual over the past nine months. The National Weather Service presented a webinar this week about Southeast Alaska’s drought. Southeast Alaska is the kind of place where you can get a lot of rain but still be in the middle of a drought. It’s home to the Tongass National Forest, the largest of about a half-dozen temperate rainforests in the world. …Communities scattered through the lush evergreen forest measure rainfall in feet. Ketchikan is one of the wettest, with about 12 feet of annual average precipitation. …Considering all those variables, Southeast Alaska is in the middle of a drought. 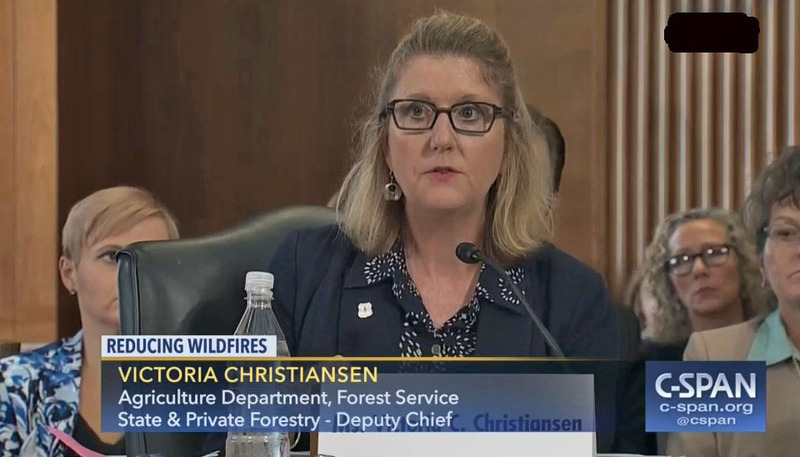 Wildfire risk and forest health were the topics that Interim Chief of the U.S. Forest Service Victoria Christiansen testified about at a House of Representatives Natural Resources Committee hearing last week. She told members of the Federal Lands Subcommittee, “Early predictions indicate that 2018 will likely be another challenging wildfire year…” …California is among the states likely to suffer more acreage burned during wildfires. Committee members almost unanimously questioned Christiansen about what actions the USFS was taking to reduce the risk of catastrophic fire encompassing its lands. “In 2017, we saw a small part of the true mortality crisis afflicting our public lands,” said Subcommittee Chair Tom McClintock (R-CA). “The density on the land is three to four times what the forest can sustain. This damages its resiliency to drought, diseases and, ultimately, catastrophic fires. “This crisis was not created overnight and won’t be solved overnight,” he added. I don’t know if Philip Kanton has an axe to grind or was hit by the wrong end of a choker, but his assessment, reasoning, and conclusion are all absolutely false. We need more programs like the Clatskanie Natural Resources Program and more instructors like Jeff Skirvin. There are so many educational opportunities that Mr. Skirvin is providing to students… The Natural Resources/Forestry Program and CMHS is a Career Technical Educational Program that is an approved by the Oregon Department of Education. As part of that, CMHS has a Career Technical Student Organization, the Future Natural Resource Leaders of Oregon, FNRL. FNRL provides students the opportunity to participate in Career Development Events (CDE); these come in two categories; skills events, and technical forestry. …Please keep the CMHS Forestry Program, it is providing the exact type of education that our students will need to compete now and in the future. Though it sounds like a technical term more suited for computer programming, avicaching is actually a growing practice that encourages birders to collect and share their data from bird-watching through an internationally known phone app. …Avicaching requires taking the road less-traveled, oftentimes in managed forests or private property, to not only hear and identity birds, but to also track their location and wellbeing. …Tracking these species isn’t so easy from the comforts of one’s own car or parking lot. To try and fill in these data gaps, the Sustainable Forestry Initiative has joined forces with American Bird Conservancy to collect statistics on birds in the Southeast United States to take a closer look at certain forest habitats this summer. These working forests, located in Alabama and North Carolina, are all SFI-certified. Tropical forests are key defenders in the fight against climate change. …Research also shows that high-carbon forests can anchor richer ecosystems. …However, according to a recent study published in the journal Science Advances, the riches of high-carbon stocks are not shared equally among the various species found in forests. 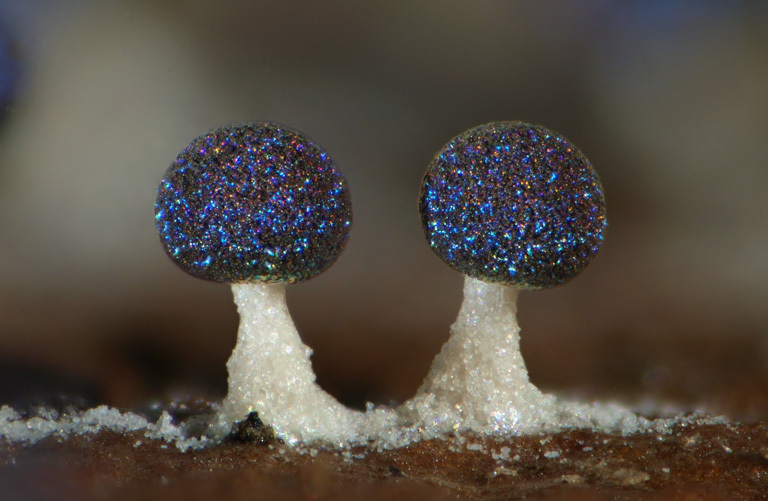 Forests that are in the process of growing back — for example, after they’ve been logged for timber — seem to provide ideal conditions for pioneer species not found in old-growth forests. …“The general idea is that old-growth forest is important for its irreplaceability [and] regrowth forest is added value,” Van de Perre said. “But actually, creating and regenerating regrowth forests will help [both] biodiversity and carbon storage.” …“Forest regeneration will [therefore] benefit forest biodiversity both directly, by providing habitat for species adapted to early successional stages, and indirectly, by increasing connectivity and reducing [the] fragmentation of forests,” he said. 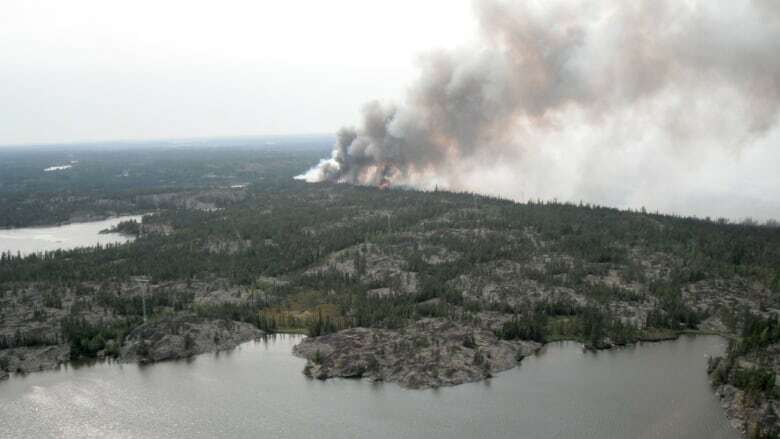 The Northwest Territories may have faced a downpour of rain over the last few days, but that won’t make the territory wet enough to prevent forest fires. Richard Olsen, manager of fire operations with the Department of Environment and Natural Resources, told CBC that while the territory may have gotten “a couple good dumps of rain,” it wasn’t enough to change the dry summer environment. …Olsen said when water comes in a big downpour, it isn’t deeply absorbed by the dry plants and trees that can be susceptible to fire. “The quicker it comes down, it doesn’t get the dry fuels soaking wet,” he said, adding that plants take days or even hours to become dry enough to burn again. …So far, eight forest fires have happened in the territory in 2018… About 2,068 hectares have burned… Last year by this date, there were 19 fires and 851 hectares burned. Gusty winds persist, spreading fires in western U.S.
Prime conditions for wildfires prevailed again on Wednesday in the western United States, where firefighters are battling to gain control over several large blazes that have forced the evacuation of more than 4,400 homes. The largest and most threatening blaze, the 416 Fire, has scorched nearly 26,000 acres (10,522 hectares) of drought-parched grass, brush and timber at the edge of the San Juan National Forest near the southwestern Colorado town of Durango. Wind gusts up to 25 miles per hour (40 kph), temperatures in the mid 80s (about 30 Celsius) and humidity of less than 15 percent are expected later on Wednesday, the National Weather Service said. Fire crews by Wednesday morning had contained 15 percent of the fire, fire officials said. …Across the state about 60 miles (95 km) west of Denver, a newer blaze called the Buffalo Fire prompted the evacuation of nearly 1,400 homes… Its containment was listed at 0 percent by fire officials. The Buffalo Mountain Fire seems a lot less angry a day after it exploded into the sky Tuesday morning. The fire peaked at 91 acres and forced the evacuation of nearly 1,400 homes, but did not grow at all overnight and did not take lives or damage structures. …Berino said one critical factor in saving the neighborhoods was the massive aerial response he ordered, which involved four heavy air tankers, two very large DC-10 air tankers, and a half dozen Type I and Type III helicopters. …The other key to saving Mesa Cortina and Wildernest were fuel breaks dug in by the U.S. Forest Service back in 2011… in response to the mountain pine beetle epidemic, which killed 3.4 million acres of forest across the state and half the trees in Summit County from 2006 to 2014. DENVER — A fast-moving brush fire destroyed eight homes in the Utah tourist town of Moab, while more than 3,000 people in Colorado and Wyoming fled multiple wildfires scorching the drought-stricken U.S. West on Wednesday. The blaze in Moab, known for its dramatic red rocks, started in a wooded area Tuesday night and quickly spread to homes over less than a square mile (kilometer), Police Chief Jim Winder said. Crews were extinguishing embers Wednesday. Moab residents Tim Clark and his girlfriend Tina Saunders grabbed their dogs, family photos and a laptop, evacuating with their home in flames. As the bill to legalize cannabis bounces around Parliament Hill, some industries want legislation to ensure the drug won’t be a danger in the workplace. “Certainly, it’s a substance that is very dangerous from the perspective of safety-sensitive positions,” Chris MacDonald, director of government relations for J.D. Irving Ltd., said Wednesday. …He’s been part of a national industry group of employers working on the issue of cannabis and the workplace. …Although the group supports legalization, it wants legislation that addresses use of cannabis by truck drivers, crane operators, people working in mills and the oil and gas sector, or in any job where impairment could create a safety risk. 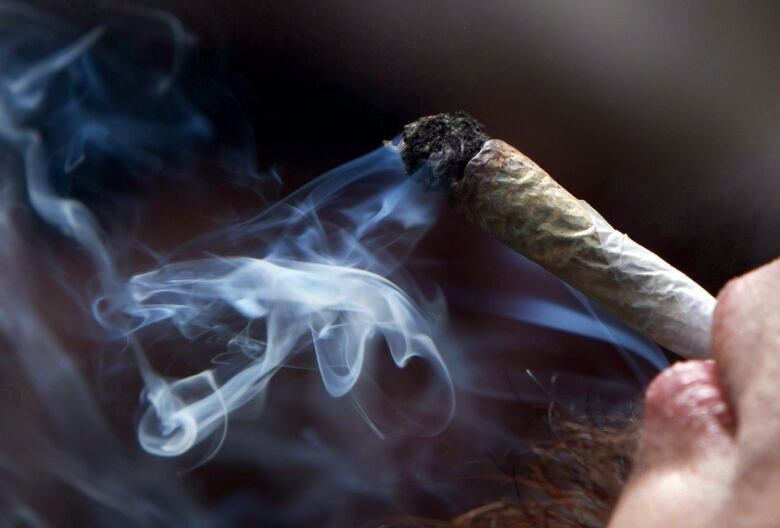 …MacDonald said the industry group would like to see safeguards regarding workplace safety and cannabis use, such as mandatory random testing.